This Prestashop desktop helpdesk module integrates a helpdesk ticket system on your Prestashop store using which your customers can contact you regarding their issues or queries. Messages are shown in thread view to both admin and customer providing a unified customer service experience. Did you know that "It is 6-7 times more expensive to acquire a new customer than it is to keep a current one.". So, acquiring new customers is easy, retaining them is not, especially when your customer service is not satisfying. It occurs because of the lack of a proper helpdesk support system. When customer acquisition and retention have become so difficult and competition from your rivals sites in on full fledge, you cannot afford to lose your customers for any reason. This Prestashop customer helpdesk module helps you to eliminate one crucial reason for bad customer experience on your store- Improper customer service or helpdesk. 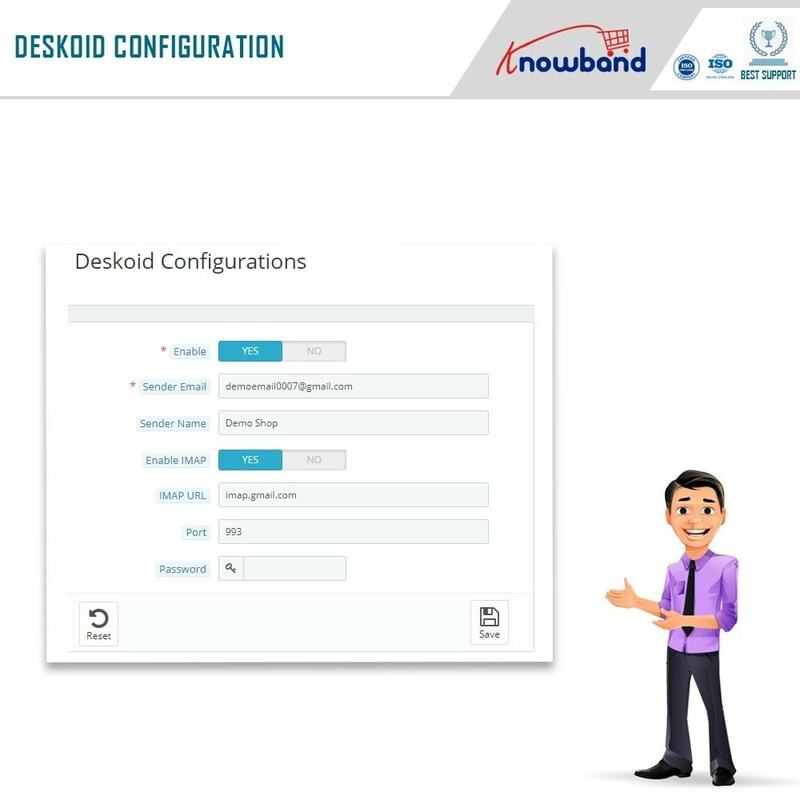 By installing this professional helpdesk system your customers and visitors will be so easily able to contact you by simply creating a ticket. The best part- you receive all your customer's queries, complaints, and grievances on a central interface on the backend of your store. 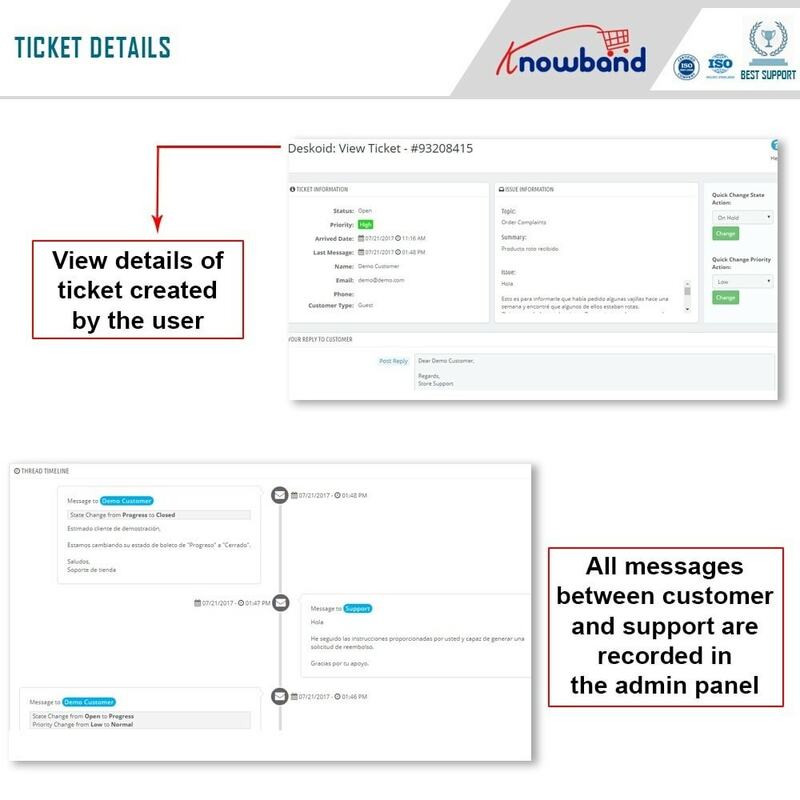 There you have got some advanced controls to manage the tickets and reply to every communication from your users. No Monthly Subscription required to maintain this Prestashop customer contact plugin. The Prestashop ticket system improves customer service experience. The Prestashop contact us addon lets you reply to every communication from the customers. 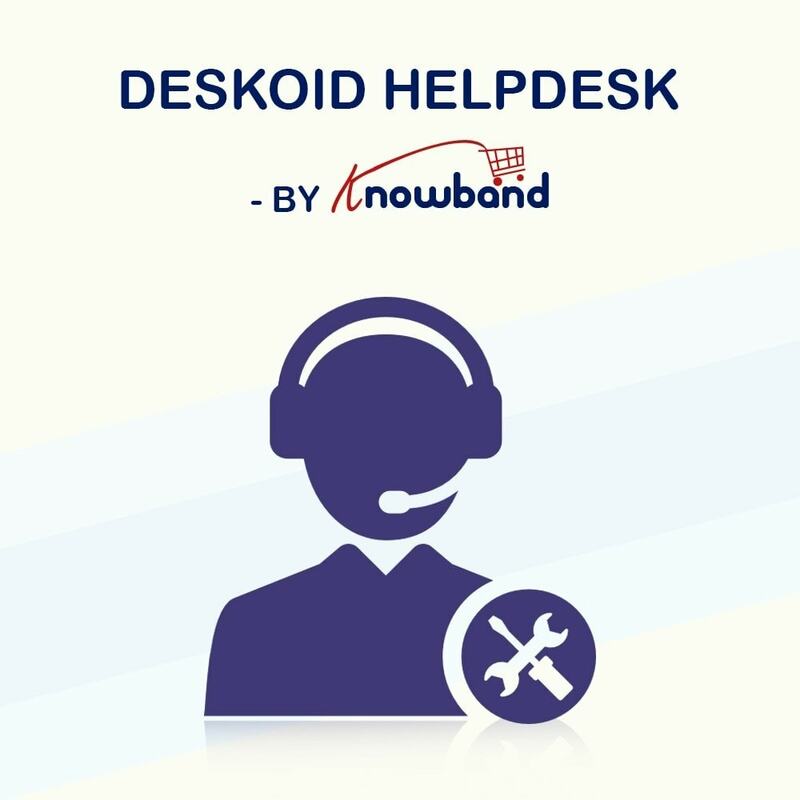 The Prestashop desktop helpdesk helps you to gain new customers with your quick customer support. The Prestashop customer helpdesk addon helps you to retain your old customers by solving their grievances. The Prestashop plugin helps you to quickly reply to your customer's queries and complaints. The Prestashop ticket system module helps you to manage all your tickets from a central location at the backend. All the details regarding the tickets raised are mentioned in the back office of this Prestashop module. You can also view all the conversations between you and the customers from the back-office of the Prestashop contact us addon. Ticket status and priority change can be easily done by the merchant. 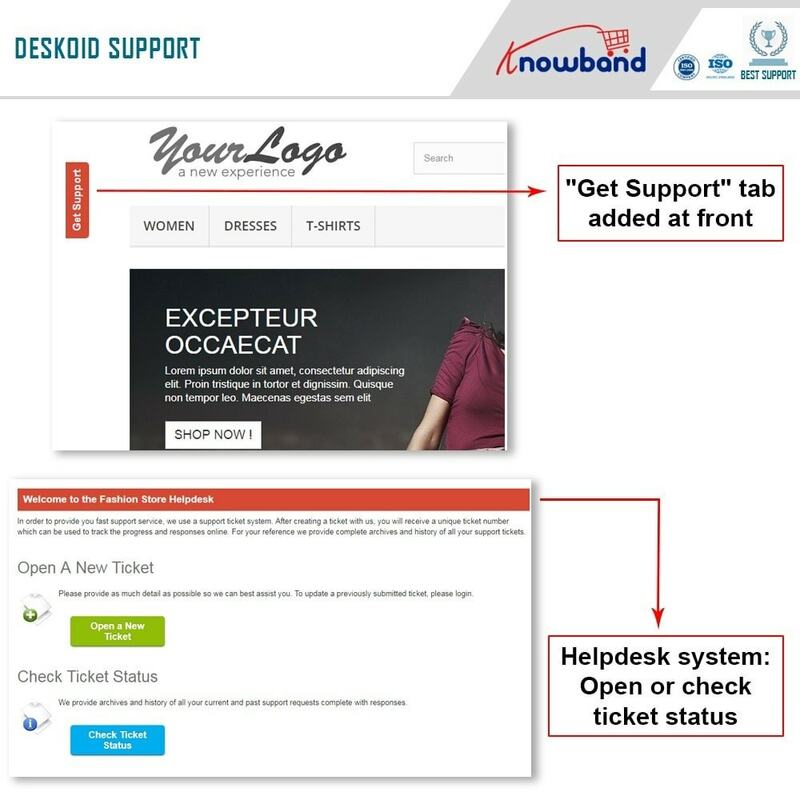 The Prestashop customer helpdesk allows the customers to create a ticket from the website front. The Prestashop customer helpdesk module helps in the management of the tickets raised by the customers. Administration can set the priority of the ticket at the backend of the Prestashop addon. 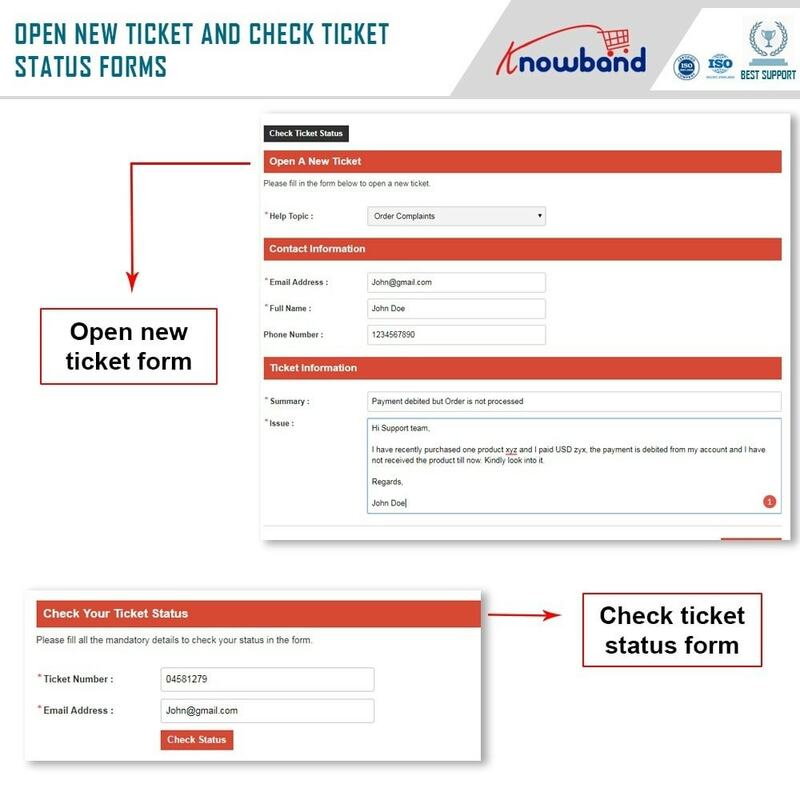 Ticket status can also be updated by the Administration. Back office of this Prestashop plugin has a good interface to view all ticket's with all the details. Instant notification whenever there is some new message. List of customers generating tickets with their contact information is also mentioned in the back office of the Prestashop customer contact. Admin can also give pre-defined topics to the customers to generate a ticket. Customers can also view the status of the ticket from the front end of the Prestashop ticket system. The customer can also mail to the admin regarding the ticket he/she has generated. No monthly subscription required in this Prestashop contact us addon. The Prestashop desktop helpdesk module is configured with your email address and IMAP settings. 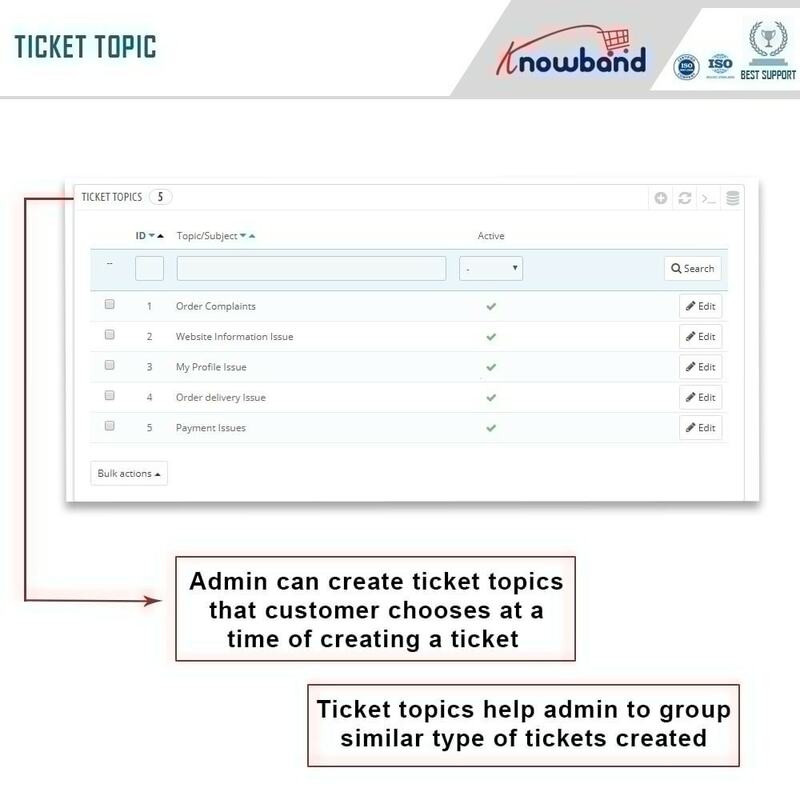 Admin can also browse the tickets topic wise. 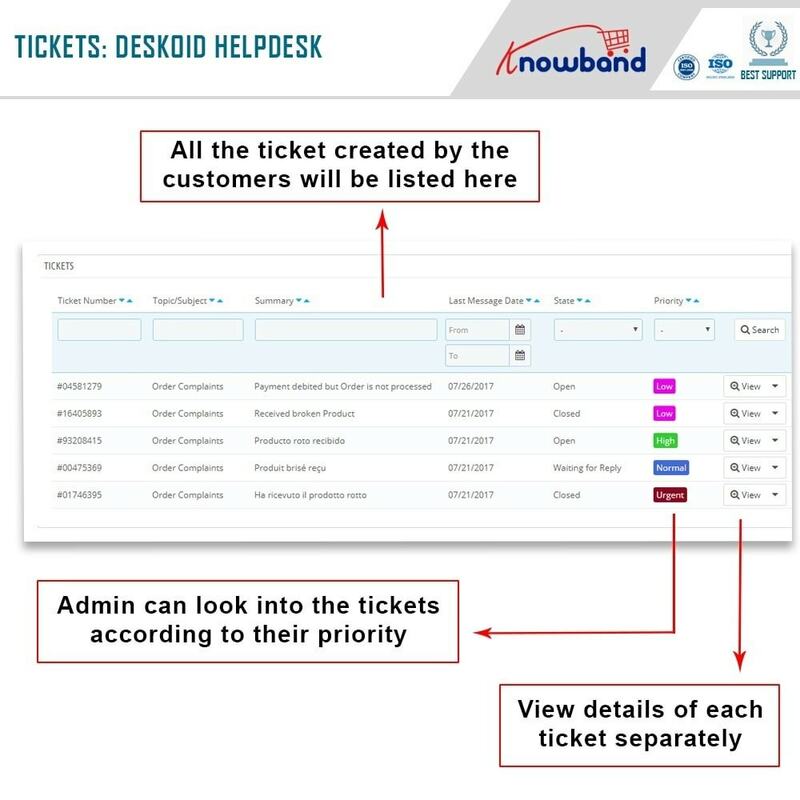 The Prestashop customer helpdesk module allows the admin to put a ticket on hold. The Prestashop customer contact plugin mobile responsive. The Prestashop ticket system is multi-store compatible. The Prestashop contact us addon is multi-language compatible. Das Return Manager plugin hat umfangreiche Funktionen, die nicht im standard PrestaShop Retouremodul vorhanden sind. Es versorgt Sie mit der vollen Kontrolle über Retourenetiketten, Regeln und Gründe der Retoure und E-Mail-Vorlagen. Easy and responsive interface for the customer to contact the admin of the site. It increase's the trust factor in the customers to place an order on the store because if something goes wrong they can easily contact you. 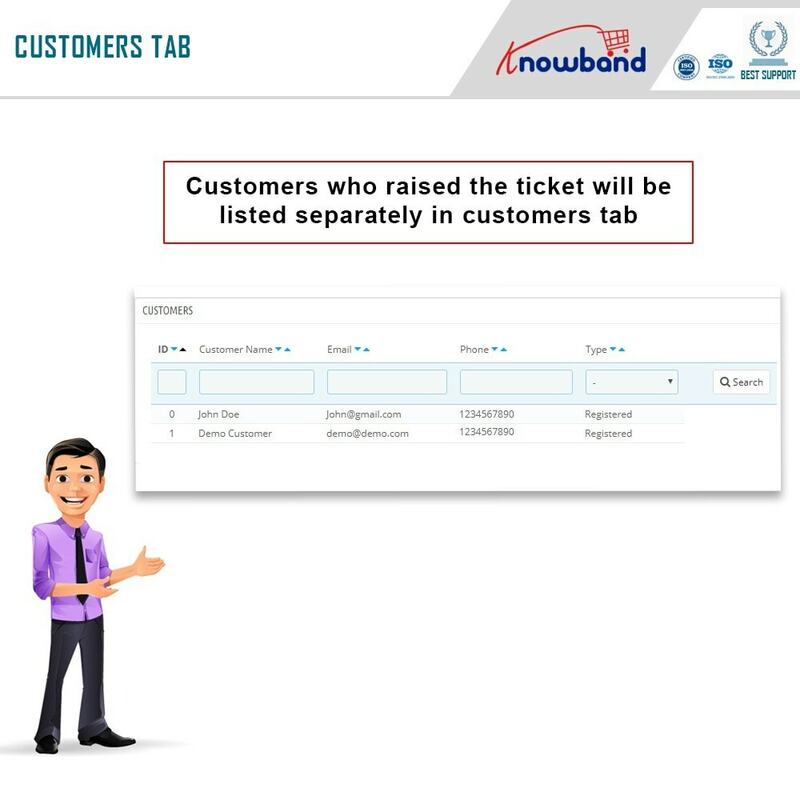 Customers can easily check the status of the tickets which he/she has generated. Customers can directly message to the support from the front end interface only. Customers can even reply to admin reply from their Email system, they don't need to open the site to revert back to admin's message.